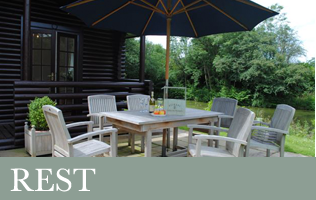 Lakeside Retreat is a beautifully appointed and secluded self catering rural holiday lodge, that offers guests the perfect opportunity to enjoy the privacy, wildlife and beauty of the estate and to explore the rich pickings of the surrounding Shropshire Countryside. A remarkable cottage to stay. Whether you are looking for a quiet romantic weekend rural retreat, honeymoon, a family dog friendly walking holiday or artist/writer’s inspiration – our commitment to the highest levels of quality will ensure you enjoy yourself to the full. Set completely on its own and very private, within the stunning 15 acres of woodland, it overlooks 2 lakes, a waterfall and an Arboretum surrounded by the private estate. A rowing boat is provided and the lakes are ideal for strong swimmers in natural water fresh from the surrounding stream. 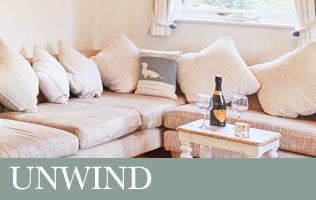 The beautifully presented self catering cottage has been individually decorated in the New England style with Farrow and Ball and is exceptionally well equipped to a high standard. 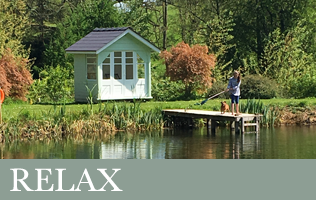 Certainly memorable, our Lakeside rural retreat near Ludlow, is a place you will want to come back to time and time again. On arrival at the lodge you will find complimentary tea, coffee, fresh local milk and biscuits, so you can start enjoying the peace and tranquility straight away.